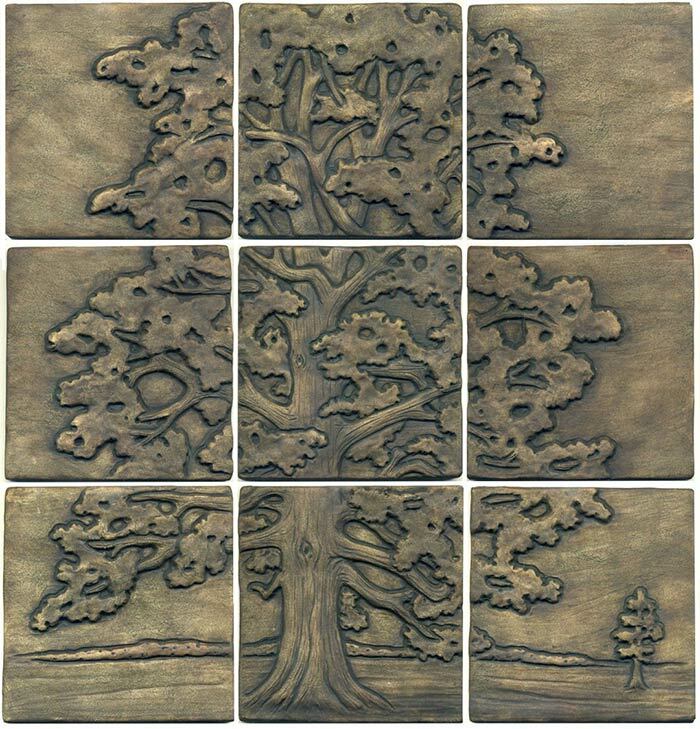 We've expanded our Oak Triptych from 3 tiles to 9 tiles by adding a column of tiles on each side, creating an entire spreading oak tree. 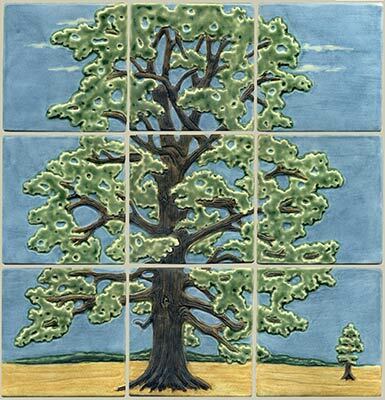 This mural was inspired by the Kile Oak in Irvington, Indiana, a suburb of Indianapolis. The old oak is maintained and cared for by the Irvington Historical Society. This set measures approximately 18" square, with each single tile just under 6" x 6". It is available in either a single color or multiple color option. Colors shown: antique brown stain; sky blue with hunter green foliage and pharsalia foreground.